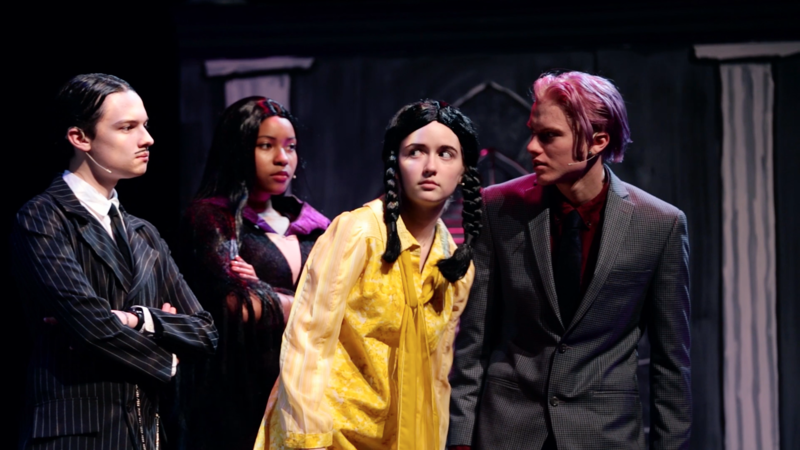 New Hampton School is excited to offer a variety of theatre classes and self-designed courses of study to enrich the academic pursuit of all students, regardless of their levels of experience. Serious performing arts students will be given tools to prepare for college undergraduate programs in theater. Students who want to explore a new field or have a great new experience will find ample opportunities to learn and have fun. The theatre program offers a broad range of productions. There are three mainstage productions each year, including a big musical in the Spring. In addition, New Hampton School offers a series of student-directed plays during the winter term. Auditions are available to all students and most rehearsals take place during free block times. Joe Sampson has worked in theatre, film, and television his entire adult life. He has acted in the comedy hit Shear Madness since 1997, primarily at the Kennedy Center in Washington, DC, but also in San Francisco, Chicago, and Laguna Beach. He lived and performed in New York City for nine years. He has appeared in regional theatres across the country. Mr. Sampson served as an Assistant Professor of Theatre at Virginia Commonwealth University for four years. Mr. Sampson received a BFA from the University of Nebraska – Lincoln and an MFA in Dramatic Arts from the University of Connecticut. At New Hampton School, Mr. Sampson serves as the Director of Theatre. He teaches Improvisation, Acting, Public Speaking, Film Studies, and Freshman Seminar. He directs the Fall and Winter plays. He is also an advisor and serves as a House Parent in Small House. Mr. Sampson joined the NHS community in 2006. Meredith Brown has been with New Hampton School since 2008. She has over ten years experience in youth theatre in many different venues throughout New Hampshire and New England. She is a playwright, director, and instructor and designs both lighting and scenery. She graduated in 2005 from Roger Williams University with a BA in Theatre with a focus in design and a minor in both History and Visual Art. She has previously worked as stage crew advisor at Pinkerton Academy and as Technical Director of the Palace Theatre in Manchester NH.